Q: Could you describe the local market for male skincare products? A: Skincare routines are developing rapidly in Sri Lanka. Men are concerned about their looks and this trend has influenced the male audience, leading to a profusion of skincare routines. Social trends too are evolving rapidly today. How a person looks has taken on a higher level of importance; it has become part of one’s identity. Body language speaks volumes and therefore, males have to put their best foot forward. And this in turn creates a need for total grooming. In the Sri Lankan market, we found a lack of proper skincare routines specifically targeted at men. This inspired Oriflame to enter the male skincare segment with a novel complete skincare routine for men. Q: What are the emerging trends in male skincare? A: Male skin consumes more energy; and it ages more dramatically too. Today, male grooming is booming! About 84 percent of men are comfortable buying beauty products, and 76 percent say they must sport a polished appearance at work and for social engagements. In addition, they gain confidence and credibility. This realisation has caused the male skincare sector to boom, and paved the way for greater innovation. 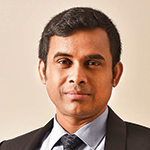 Q: How is Oriflame positioned in the male grooming segment? A: Across the globe, looking good is important for men – and Oriflame offers a collection of fresh and effective formulas designed exclusively for them. This includes a comprehensive range of face, hair and body products with ingredients that cater to their needs. Oriflame has experienced rapid growth in the local market with a dramatically increased market share. It’s strategically aligned to be the No. 1 beauty company with a multifunctional market model. In its 50th year, Oriflame is the choice of three million people. We are committed to building on this formula of empowering people and enabling positive change around the world. Q: What are the unique qualities of the new product line? 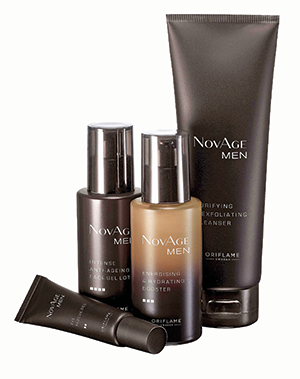 A: NovAge Men is engineered for effortless performance and visible results. The four step routine makes male skin look rested and youthful, as it is developed for and clinically tested by men. It offers a complete solution for instant energy and a long-term anti-ageing effect on the skin. This is because it is made of a Coffea bengalensis plant stem cell extract. It can instantly recharge cell energy as it’s made from cutting-edge bio-active baobab anti-ageing technology – so it fights long-term signs of ageing by addressing male specific proteins. 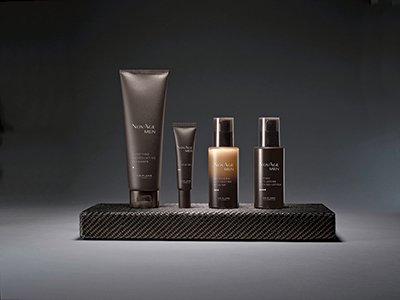 The products keep male skin hydrated, flexible, toned and smooth with fewer wrinkles. They consist of a cleanser, an eye rescue gel, an energising and hydrating booster, and a moisturiser. Q: How is Oriflame tracking new retail trends? A: Since it was founded, Oriflame has dared to tackle and adapt to challenges. We’re used to tough markets and operating in regions where some see difficulties, which we turn into opportunities. Continuing Oriflame’s online development in 2017, our new e-commerce engine has achieved sustained growth. Oriflame has a proven business model that’s perfect for today’s networking world. It is flexible, digital, and powered by trusted relationships and recommendations.